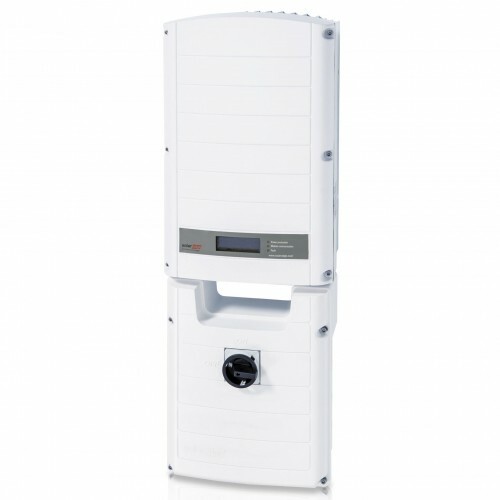 SolarEdge's StorEdge DC coupled storage solution automatically provides homeowners with backup power in case of grid interruption allowing owners to maximize self-consumption for maximum energy independence. Unused PV power is stored in a battery (Tesla Powerwall Home Battery and the LG Chem RESU) and used during a power outage or when PV production is insufficient. When there is a power outage, a combination of PV and battery is used to power important loads such as the refrigerator, TV, lights and AC outlets, day or night. The solution is based on a single inverter for PV, storage and backup power. 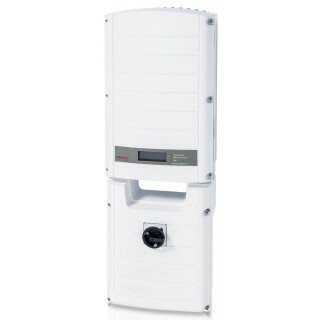 The SE7600A-USS20NHB2 StorEdge single-phase inverter with integrated 5 year GSM (requires an optimizer for each module) and is designed for use with battery storage solutions. Features High Power functionality and is suitable for both Back Up applications and Smart Energy Management applications when paired with the SolarEdge Auto-Transformer*** and the SolarEdge Electricity meter*** respectively (or together for dual function). Capable of allowing draw from PV and storage solution at the same time. Pair with up to 2 LG Chem RESU10H Batteries per inverter. Also includes rapid shutdown, LCD display, built-in module-level monitoring via internet connection, Ethernet or wireless. NEMA 3R enclosure. NOTE: When used for export control, time-of-use shifting, self-consumption, or peak shaving capabilities, the SE-MTR240-0-000-S2 Electricity Meter is needed along with (2) SE-ACT-0750-200 CT’s installed on the house AC lines. For backup power capability, the SEAUTO-TX-5000 Auto-Transformer must be installed as well as a backup loads panel for the critical loads. *** SE-MTR240-0-000-S2 Electricity Meter, SE-ACT-0750-200 CT's and SEAUTO-TX-5000 Auto-Transformer sold separately.